Joico is a brand that is known for its range of haircare solutions as well as its colour options, so when a new launch was spoken about towards the end of 2018, we waited with baited breath to see what the innovation is that promises to shake up the hair industry. To announce the exciting launch of the Joico Defy Damage range to the European market, we we’re flown to the capital of cool, and the second largest city in Europe, Berlin. The slogan for the campaign, ‘See it. Feel it. Believe it’ was the theme across the weekend-long launch event which was rung in by general manager for Joico EMEA, Eric Kater at a decadent dinner with the extended European trade press. For the day of the anticipated reveal we arrived at Max Höhn’s salon in Berlin. Max is the hairstylist to the German celebrity circuit as well as a Joico Europe brand ambassador. 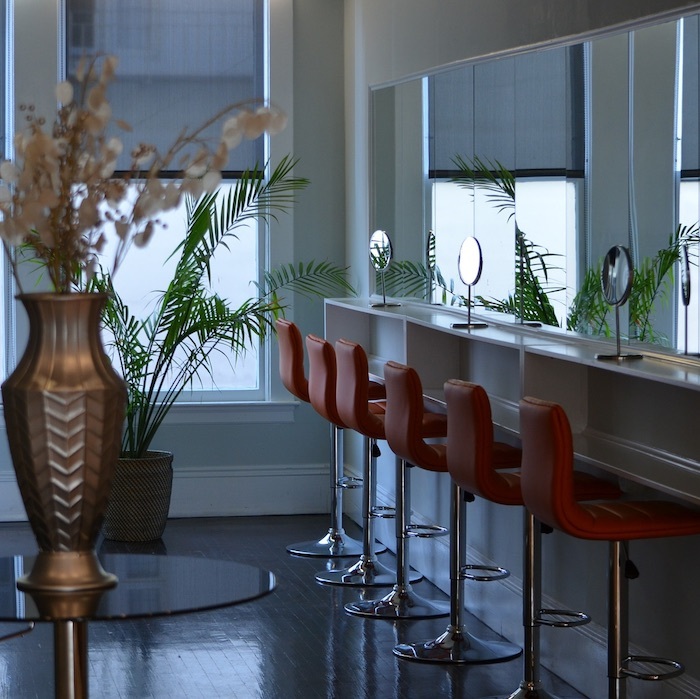 Using his salon to unveil the launch was fitting with celebrities and influencers constantly styling and changing their hair, exposing it to damage through continuous mechanical, chemical and heat styling Max’s team is used to reviving hair that has been subject to damage. 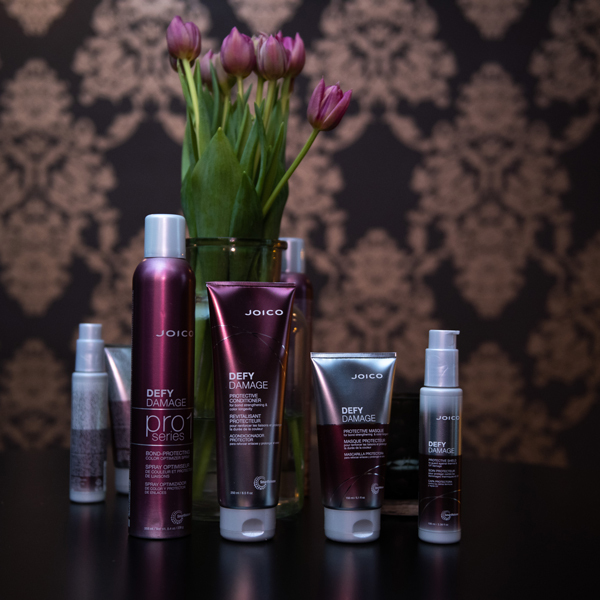 Gaby Abel, Joico Europe’s Director of Marketing gave us a little more insight into the range, which consists of a salon-only two-step programme and a routine for your clients to use at home. Damage Defy follows the ethos that prevention is better than cure, it’s key to protect your clients’ hair from the extremes it faces such a heat styling, chemical and pollution – especially in busy cities. 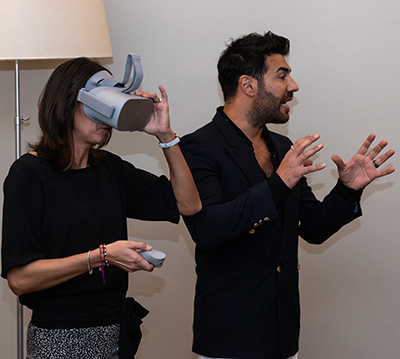 At the event, for the first time at a European haircare launch, we got to see it for ourselves using high-tech VR goggles. The goggles transported us from the salon in Berlin to Joico brand ambassador Larisa Love’s Los Angeles salon watching a client transformation using the products with Joico’s International guest artistic director Richard Mannah taking us through the process step-by-step. During our VR experience we travelled to the rainforest, desert and the depths of a dark forest to showcase the extremities that our hair can go through with our journey finished back at Larisa Love’s salon at the end of the client’s appointment showing off her fabulously glossy mane of hair. Next we got to see the results in real life as Richard introduced two models that had the whole new range used as well as a hair colour applied. The results showcased the healthiness and the gloss that the Damage Defy range promises to deliver. In the range Pro Series 1 protects the bonds and enhances the lift if you are simultaneously doing a colour services. Pro Series 2 then strengthens the hair and helps to maintain over 90% colour vibrancy. While Pro Series 1 and 2 are exclusively for salon use, the shampoo, conditioner, masque and thermal shield that make up the rest of the range are then available for your clients to take home and continue their Joico hair journey. The results are achieved through the new technology in the product ingredients which Joico have coined ‘Smart Release’. This is form of the clever trio of Keratin Quadramine Complex, Arginine and Rose Hip oil which sits together in a liposome. The liposome is a small molecular ball with a water-based centre. The water repellent outer layer keeps the ingredients packed inside to ensure that they stay intact until they are needed when the hair starts to dry and the liposome breaks. Richard Mannah first got his hands on the range at a secret launch in Los Angeles last June and is still overwhelmed with the results it has achieved.